The Avatar Returns episode 25 is available for listening or download right here and on iTunes here. Ugh, teenage love triangles. Or quadrangles. Polyhedrons? Whatever they are, ugh! Even in the world of Avatar, kids have hormones. Fortunately, The Legend of Korra manages to deal with the bulk of this well-worn plot device in a single episode AND make it actually quite interesting, as chapter 105, “The Spirit of Competition” uses the backdrop of the Pro-bending Championship Tournament to examine the relationship between our three main heroes. 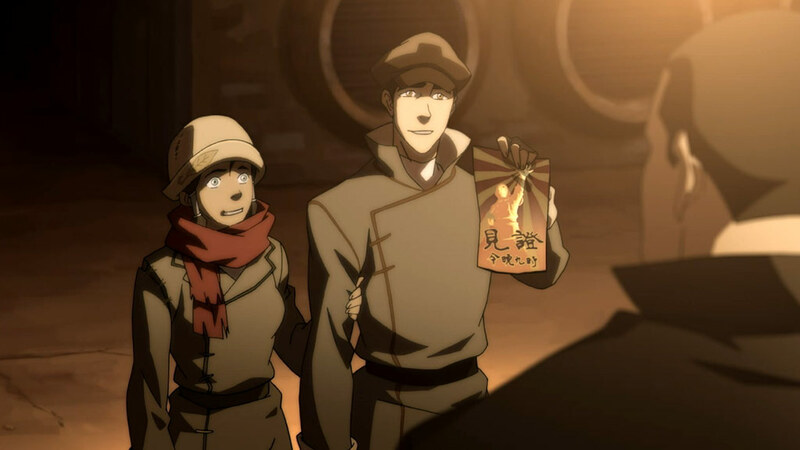 Tenzin’s daughters offer the wisest romantic advice, Bolin gets noodle drunk, and Pema is a home wrecker. Then, in chapter 106, “And the Winner Is…,” we find out who the winner is. Duh. Who wins the tournament? Who wins the romance? How badass IS Lin Beifong? Those answers and more could only lead to “The Aftermath,” as chapter 107 brings us Republic City’s “Tony Stark,” the return of the cabbage merchant (sort of), and freaking mechatanks! This entry was posted in The Avatar Returns and tagged action, adventure, animation, cartoons, comedy, fantasy, itunes, libsyn, nickelodeon, podcast, the avatar returns, the legend of korra. Bookmark the permalink.